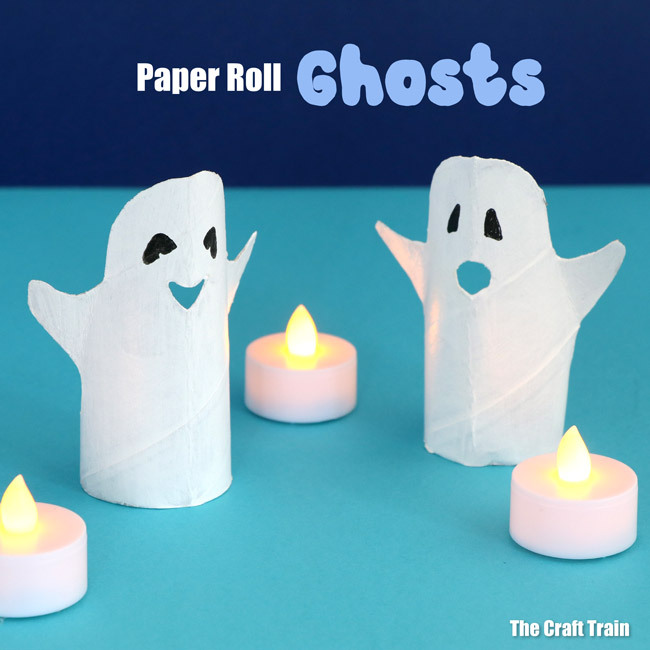 Fun and cute paper roll ghost craft for kids. 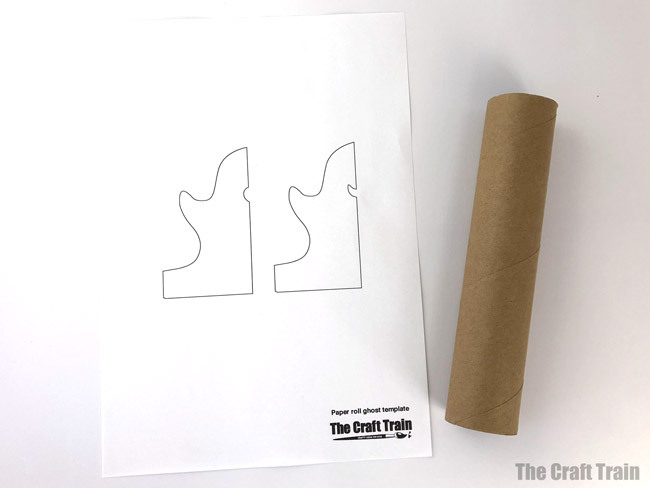 This is an easy Halloween craft for kids which makes use of recyclables and includes a printable template. Ghost crafts are so much fun! 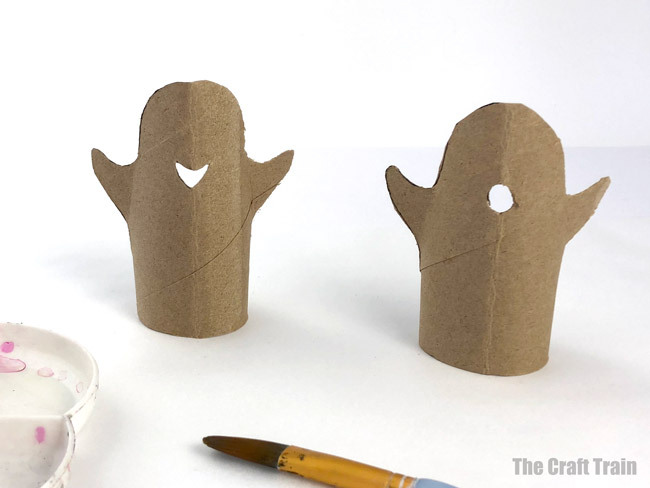 These paper roll ghosts are an easy Halloween craft idea for kids which becomes a cute decoration or DIY toy. 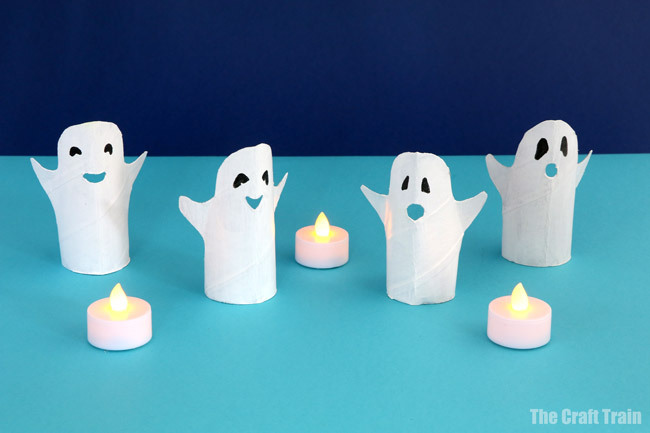 Check out our ghost pom pom poppers for another fun DIY ghost toy. 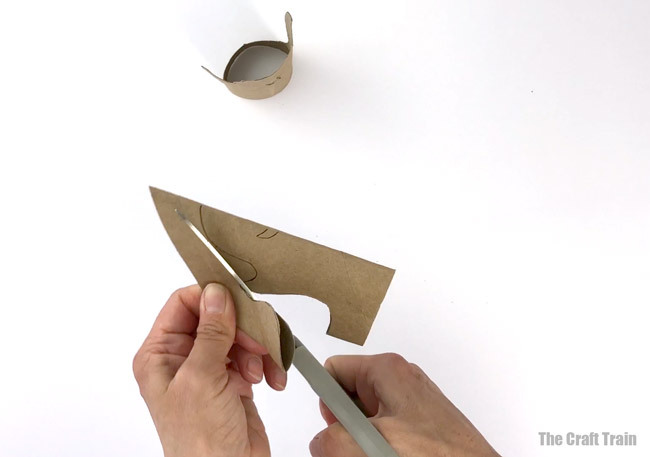 I love recycling crafts, and always find it a fun challenge to come up with new ideas using the humble paper roll as the base material. 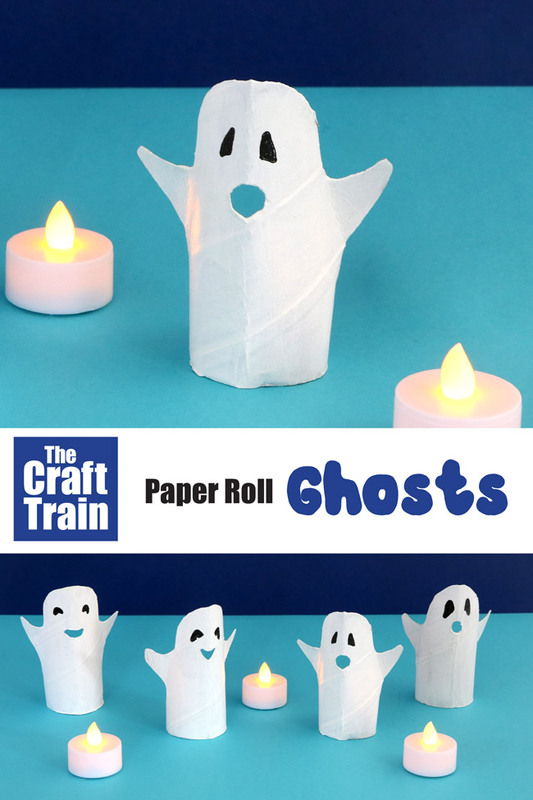 These paper roll ghosts are made using the same squash, cut and fold technique which I’ve used to make our paper roll black cats and paper roll dinosaurs. You can personalise your ghosts with funny faces, or paint them any colour you like to brighten them up (whoever said all ghosts had to be white?). I’ve gone with classic white though, and our ghosts look cute decorating the shelf for Halloween with a few LED candles added for dramatic effect. 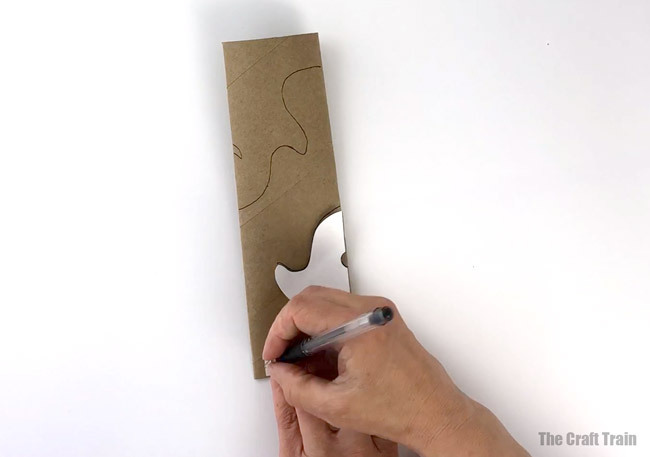 Watch the short video to see how to make one, or scroll down for the step-by-step process photos. 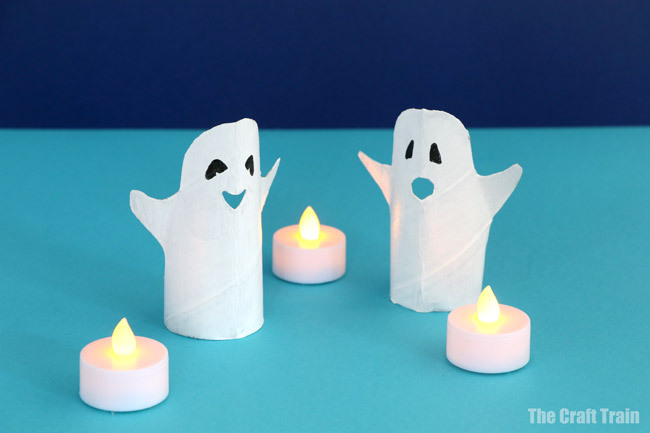 If you’re looking for ghost craft ideas, you might also like our yarn doll ghosts.